Lovely muffins with oatmeal and molasses (and blueberries). I used this “ridiculously easy blueberry recipe” from the web, with only half the sugar and a 1/4 cup of molasses instead, and wholegrain oats in place of the 1/2 cup of flour. Oh, and rice milk instead of regular milk. Plus, I always add a tablespoon of yogurt (in this case coconut milk non-dairy yogurt) to all my baked goods– it makes them moist and fluffy. Full blog about this eating adventure is here. 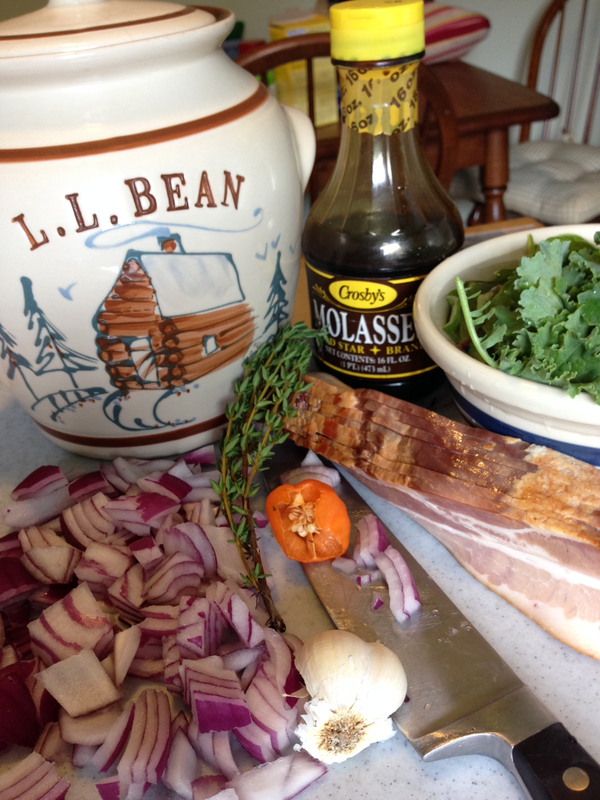 The Bean Pot Bean Recipe is coming soon…. 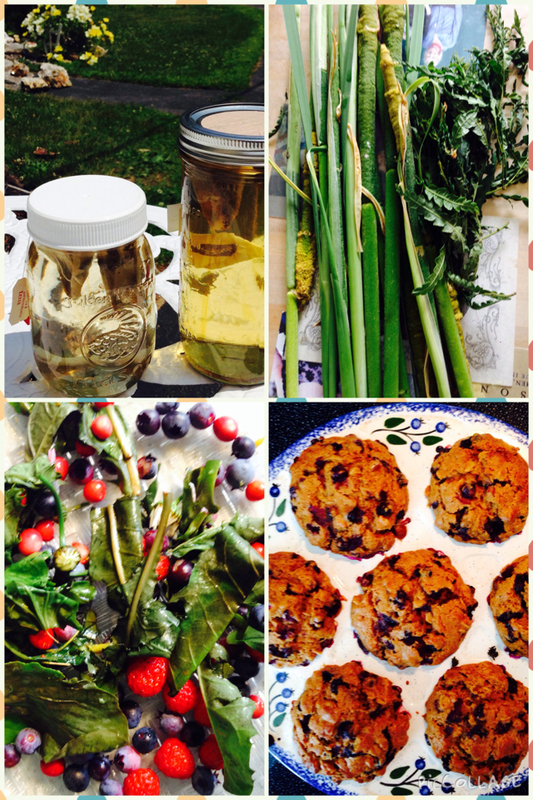 Recipes, Foraging Tours, Education, and Back to Nature Basics. Old Potato Yum – Delicious Soup; made from kitchen leftovers. Old_Potato_Yum_Soup. Its not easy to find great, healthy recipes for good food, that’s a little different from how Grandma made it. Not that Grandma wasn’t awesome – she was! But, nowadays who needs all that butter, sugar, and food coloring? Not me. I like to cook a little more off the grid. So here it is, my first successful rhubarb jelly. 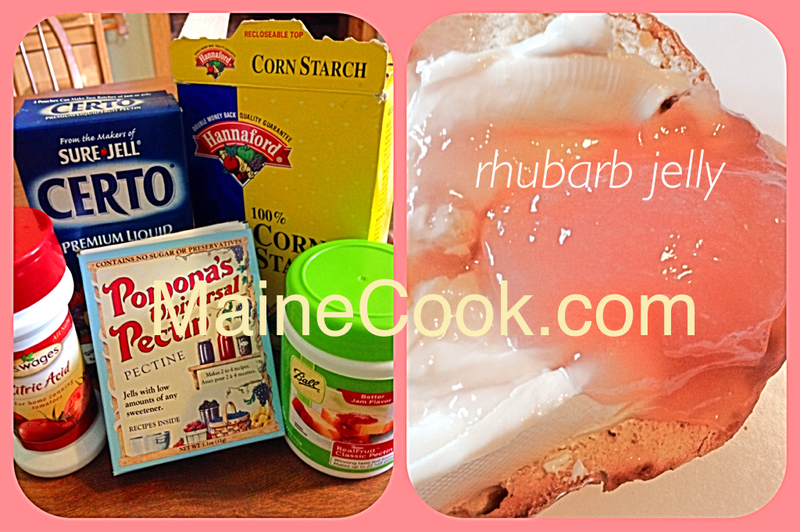 There are lots of recipes for Rhubarb Jam. But, I was never a fan of the texture. Gave me the shivers. I have become a fan however of rhubarbs lovely pink color, tart flavor, and gorgeous availability. 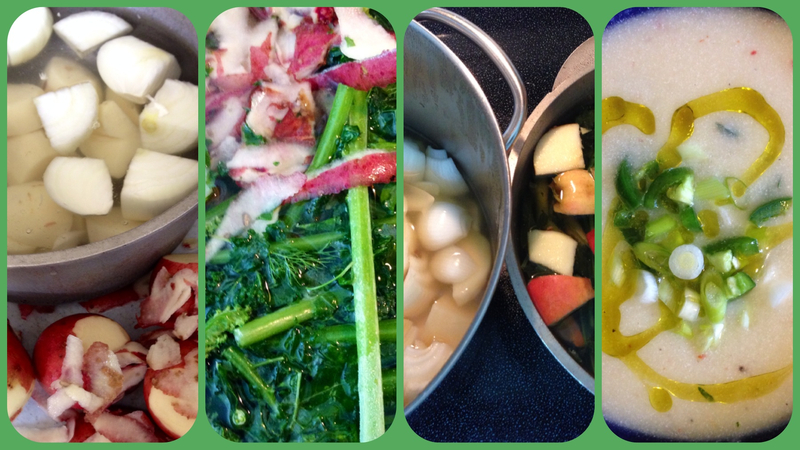 I tried a lot of thickeners, first from the health food store, and later from Ace Hardware. They weren’t working. I finally realized that was because I was reducing the sugar so much. This recipe did work and it’s authentic, tasty, and tart. I love it on my bagel with cream cheese.